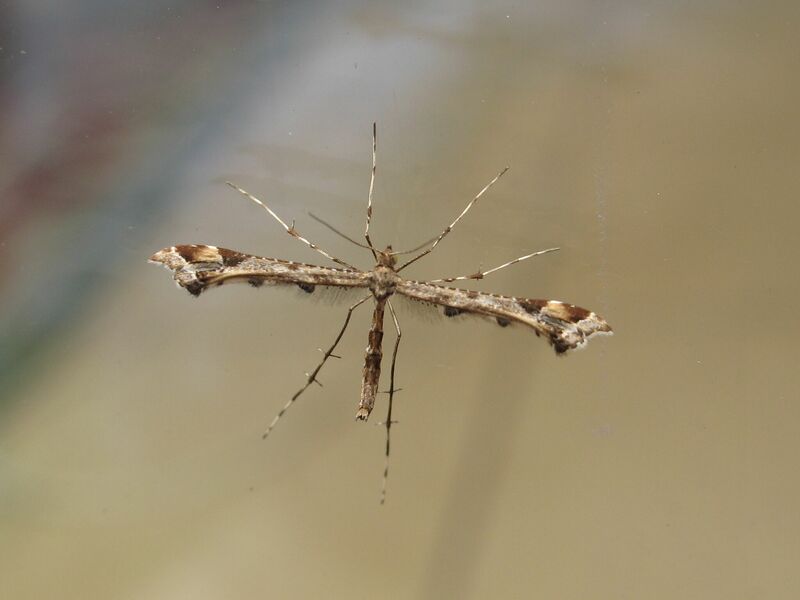 A reddish-brown Plume with a distinctive dark triangle on the forewing just before the cleft; a pale line crosses both lobes. Browner, lighter and less variegated than the Brindled Plume. Double brooded, July, Sept to June. Caterpillars feed on the flowers and seeds of Restharrow, Hedge Woundwort, goosefoots, heathers and Crane’s Bill.